I do like visiting Dunkin' Donuts every day. People ask me why do I take so many photos at Dunkin' Donuts. Since I'm going to the same place every day, I like to challenge myself to try to get unique photo that is different from one I have already taken. 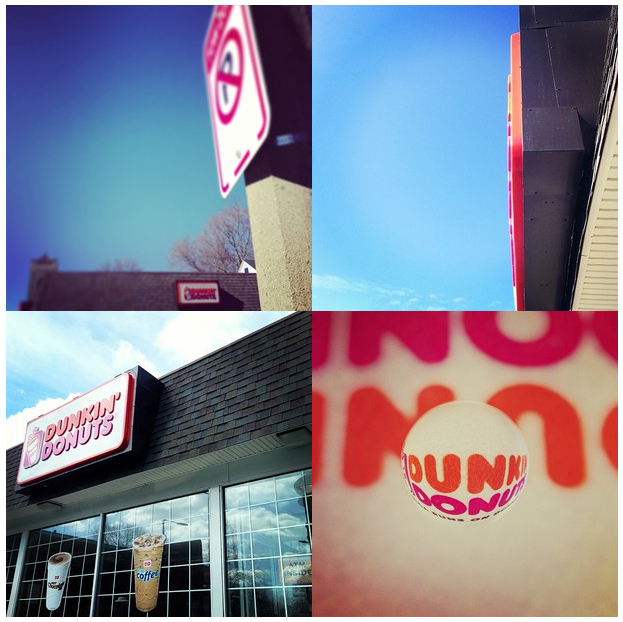 Anyone can walk up to a Dunkin' Donuts and snap a photo, but I like to think before I click. Maybe I can get a different perpective. Higher, lower, closer, farther away? I'll also think about what photo apps I have on my iPhone and take a photo to best use the features of the app. When I would see the shots that you have taken at Dunkin Donuts I just thought, boy, you go there a lot, you must really like their coffee. Now I understand, it's not only the coffee, it's how you can take different shots of the shop! Glad you cleared that up for me!